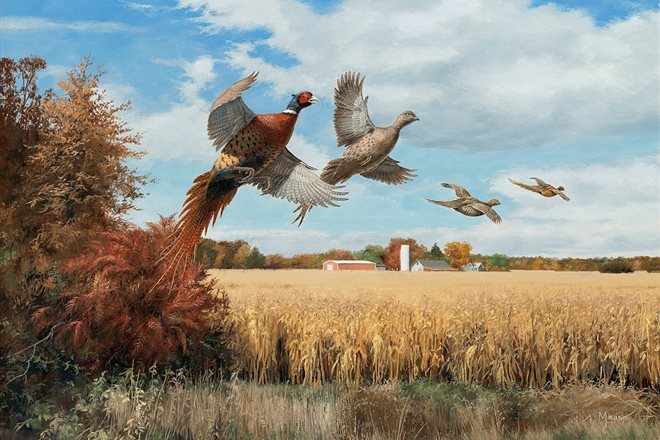 A two-time winner of the Federal Duck Stamp competition, David Maass is an avid sportsman and ardent supporter of conservation who has been actively painting game birds for more than 40 years. “My first hunting experience was going after pheasants with my parents when I was quite young. Most of it was walking between the rows of corn to flush out the birds that were feeding. I remember the birds in this painting made a ‘Hasty Exit’ when we startled them at the cornfield’s edge,” said Maass. Maass captures a beautiful snapshot in time as a healthy covey breaks from the pine-shadowed field edge into a sunlit savanna. Lake City, Minn. — Wild Wings, America’s leading publisher of wildlife and sporting art, is pleased to announce the addition of Loon Lake Decoy Company of Wabasha, Minn. to its ever-growing family of nature-inspired art and home décor brands. Founded twenty-five years ago by Michael Lidgerding, Loon Lake Decoy Company produces highly-realistic, cold-cast and hand-painted reproductions of the award-winning artworks of wood-carver, Sam Nottleman. The company is best known for its full range of waterfowl sculpture including more than fifty designs that are immediately available and many more to be introduced in future years. The incredibly true-to-life artworks of Sam Nottleman are widely respected and highly sought after by discerning decoy collectors, seasoned waterfowlers, and dedicated conservationists across North America and beyond. Inspired by a deep love for the outdoor lifestyle, Wild Wings was founded in 1968 to produce nature-inspired art of the highest-quality. Now representing more than forty of North America’s most talented and diverse painters and sculptors, Wild Wings has a long history of providing quality products and top-notch customer service. Effective immediately, Wild Wings will assume all manufacturing, sales and distribution functions for Loon Lake Decoy Company products. In addition to the newly launched line, Wild Wings also produces a wide range of art, gift and home décor products under the Wild Wings, Terry Redlin, Mill Creek Studios, Great Northern Art, Nature’s Window, and Bouquet & Company brands. 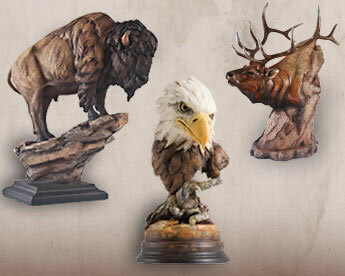 Lake City, MN—Two of America’s most recognized names in wildlife art have joined forces to create the largest and most comprehensive collection of nature-inspired two and three-dimensional art products ever assembled. Wild Wings, which this year celebrates its 46th anniversary as America’s leading wildlife and nature art print publisher, has assumed all manufacturing, sales and distribution functions for Mill Creek Studios, today’s leading producer of wildlife, Western and Native American sculptural art products. The new partnership will offer collectors a convenient single-source for today’s finest nature-inspired art for both wall and tabletop home décor. Mill Creek Studios was founded 25 years ago by Stephen Herrero, who began reproducing his original wood, stone and clay sculptures to satisfy the ever-growing demand for his work. Now representing six uniquely talented sculptors offering a wide diversity of styles, the company designs a full-range of traditional, bronze-effused, and contemporary wildlife, Western and Native American sculpture. More than seventy Mill Creek Studios designs are immediately available with many more to be introduced in January 2015 and beyond. Wild Wings was founded in 1968, inspired by a deep love for the outdoor lifestyle and a desire to produce the highest-quality nature-themed art prints available. Now representing more than forty of North America’s most talented and diverse wildlife, nature and Americana painters, Wild Wings has a long history of providing quality products and top-notch customer service. 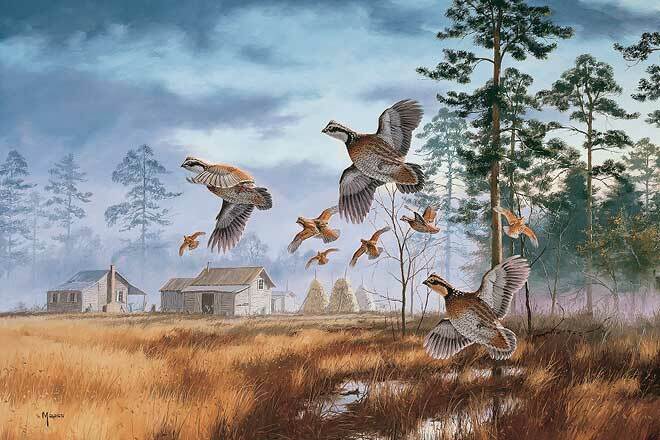 In addition to the newly launched Mill Creek Studios products, Wild Wings also produces a wide range of art, gift and home décor products under the Terry Redlin, Great Northern Art, Nature’s Window, Bouquet & Company, and Wild Wings brands. View All of the Mill Creek Sculpture Collection! Wild Wings’ corporate headquarters are located in Lake City, Minnesota. For more information or to join our catalog mailing list or email newsletter, phone 800-445-4833 or visit www.wildwings.com. MEMPHIS, Tenn. – Dec. 3, 2012 – Wildlife artist David A. Maass of Long Lake, Minn., is Ducks Unlimited’s 2013 Artist of the Year (AOY). His winning painting, “Pitching into Cypress,” earned Maass his fourth AOY award, more than any other artist.